Hello! We were talking about independence in our class yesterday since Monday was Independence Day here in Costa Rica. It’s also a topic that’s been in the news lately because there will be a referendum tomorrow (Sept. 18) in Scotland to decide whether Scotland should become a fully independent country, or if it should remain a part of Great Britain. So, I decided to use this topic for this week’s homework assignment. As usual, everyone is welcome to participate, but as a reminder to my students, don’t forget that this counts as part of your grade. Please follow these instructions and post your response in the comments section below. A. (If you answer before the referendum): Do you think Scotland should be independent? Why or why not? (If you answer after the referendum): What was the result of the referendum? Is Scotland an independent country or not? What do you think about it? B2. Tell a bit about the history of your country’s colonial occupation and independence. For example: What country did your country gain its independence from? Was it a colony? How did the controlling country originally get control of your country? When did it become independent, and how? How long has it been independent? Etc. B3. When and how does your country celebrate its Independence Day? What do they do to celebrate? How is it similar to or different from Costa Rica’s celebrations? If you have any questions, please tell me. Good luck, and happy belated Independence Day! or any others reasons that could affect Scotland as an independent nation. But certainly most of the people said no, maybe because they know the advantages of being part of the United Kingdom. That’s why they done a referendum, people raised their voices and at the end mostly of them said ”no”. There are a lot of words, but sorry I don’t have enough time Ryan. I know, it sounds lazy but at least I am honest hahahaha. I choosed Brazil because it is once of few countries from America, which isn’t gained its independence from Spain as many others in our Continent. Well Brazil gained its independence from United Kingdom of Portugal. In 1808, the french troops invaded Portugal and the Portuguese monarchs transferred the Portuguese Court from Lisbon to Rio de Janeiro, that elevated Brazil to the rank of kingdom and increasing its administrative independence. In 1821, the Portuguese Assembly demanded Brazil to return to its former condition of colony and the return of the heir prince to Portugal. He refused to return on January 9, 1822, a date which became known as Dia do Fico (I’ll Stay Day). Prince Pedro declared the Independence of Brazil on September 7, 1822. That day ended 322 years of colonial dominance of Portugal over Brazil. Brazilian celebrate the independence day on September 7th. Independence Day is a national holiday marked by patriotic displays in most Brazilian cities. In Brasília, the celebration takes place at the Ministries Esplanade with a military parade in the presence of the President of Brazil. Well, we have in common the parades and patriotic displays around entire country. Very nice work–I didn’t know all that about Brazil. I like the idea of “I’ll Stay Day”! It’s defiant and a bit lazy at the same time, haha! And it’s OK if you didn’t look up all the words, since that’s not really the idea. If you understand the main ideas in an article, that’s usually good enough. But it’s also good to get a few new vocabulary words here and there. 1. To weaken by wearing away a base or foundation: Water has undermined the stone foundations. 2. To weaken, injure, or impair, often by degrees or imperceptibly; sap: Late hours can undermine one’s health. 3. To dig a mine or tunnel beneath. 1. The casting and registering of votes in an election. 2. The number of votes cast or recorded. 3. The place where votes are cast and registered. 1. Without reservation or qualification; openly: finally responded outright to the question. 2. Completely and entirely; wholly: denied the charges outright. Well, I think Scotland should be independet, because as many other countries, Scotland’s people want to have a better life and better future, for its people. Scotland has been united with England and Wales as Great Britain, for 307 years! That’s a lot of time! If Scothland’s people want to separate from England, they could do it! They just want to be independet, they just want to make their own desicions about their country. The history of Colombian’s independence day began when Napoleon invaded Spain in 1808 and imprisoned King Ferdinand VII. The people of New Granada (now Colombia) were unhappy with spanish rule, so that they decided to protest from different corners of the region. The Viceroy, under pressure, was forced to agree to allow for a limited independence which later became permanent. Colombia became independent on July 20, 1810 and it has been an independent country for 200 years. That’s a lot of time, I know! In Colombia, the events celebrating this day, (July, 20) are as diverse as Colombians are. They usually go to the rowdy nightclub parties in Brickell and dance festivals. Also, there is the annual live music festival at Tamiami Park. Costa Rican’s celebrations and Colombia’s celebrations are not similar, but both enjoy celebrating this day as an important event for the country. Thanks for your comment. Colombia seems like a cool choice! I was in Bogota for two nights last year (we had long layovers on a flight to Germany) and it did seem like a great place, and I’d really like to go back! Was interesting to see that in this century there are still countries under the tutelage of another and more in Europe where the people claim to be the most educated. In this particular case is evidenced policies preciones to prevent the separation of this country, as has occurred in Costa Rica when all decided on the TLC with USA people, the first thing that was done was to put fear in the population to vote Yes. pressures more than ideological . very late at night on the street alone. -Try to write short, clear sentences, and pay attention to word choice and punctuation. That will make your text look clearer and more understandable. -For the sections that are copied and pasted, eliminate them and try to summarize those parts in your own words. So check your email and get back to me. Thanks! I think Scotland should be independent, because Scotland’s people want to have more decisions in own country, more economy and better education. They want to have a better country and not depend de other for take many decisions. About the other country, i choosed Domicacan Republic, becuase is a country very interesting about your history, and how get the indepence. Dominican Republic is the second largest Caribbean, after Cuba. After three centuries of Spanish rule, with French and Haitian interludes, the country became independent in 1821. Since 1878 the Dominican Republic has moved toward representative democracy. Dominican Republic current president, succeeded Fernandez in 2012 winning 51%. The Dominican Republic has the ninth largest economy in Latin America and the second largest economy in the Caribbean and Central America region. The Independence Day is February 21, they celebrate with a carnival, is distinguished by it’s colorful costumes, that symbolize many religious and traditional characters such as Calife, Guloya, the famous Diablo Cojuelo. 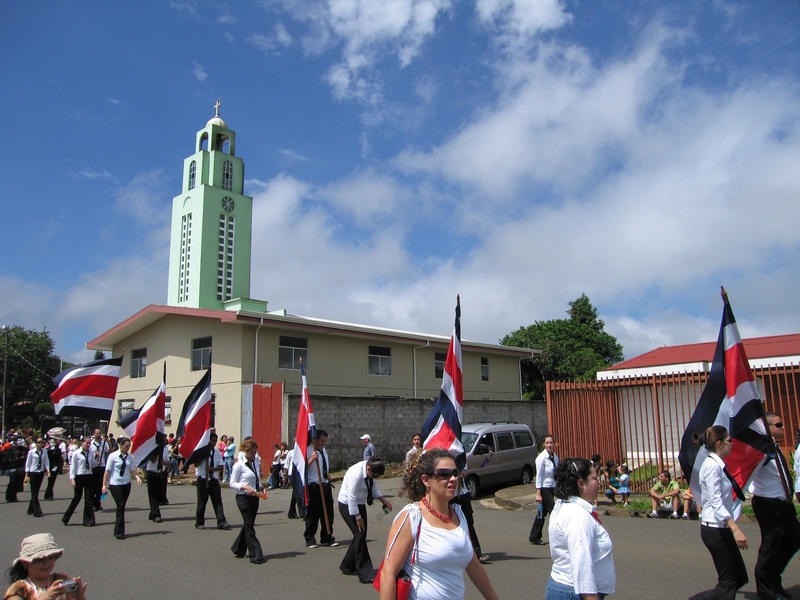 It is celebrate in most of the Island, each town adding their own twist or creating their own characters and groups. it is enjoyed by young and throughout the country since many of the groups are created by families, companies and friends. Good information in general, but I’ll make the same comment as I made for Ruben below: don’t copy and paste information, since it seems unnatural (and the purpose of this is to practice writing). 1- A number of warships operating together under one command. 2- A group of vessels or vehicles, such as taxicabs or fishing boats, owned or operated as a unit. 2-a part of a road that has been widened to allow cars to pass or park. Scotland didn’t get the independence because in the referendum the people said NO! to it, Actually the referendum was very close but now we know what happened. I think people said no because they are fine in that way, they depend of England, that is a really good country economically, and I think England help them in what they need. I don’t know too much about Scotland but I think it is a really good country and is no relevant for they if they are independent or no. I chose Cuba because I like to know a lot of thing about Cuba, the history of that country is very interesting for me. Although I don´t like the country for live, the process of independence and the revolutionary processes it had. For me it is not a beatty place for live because it is a country really communist and everyone gains the same amount of money, and for that almost all the people live without too much money. Before the independence of Cuba it was owned by Spain, and lived as all the American countries colonized by Spain. Then it gains the independence from Spain in may 20th of 1902 , with a kind of war helped by the United State. From that time Cuba was independent, but United States had the control of it. In 1959 Cuba started a revolutionary process, for not depend of the United States and be totally independent. So officially Cuba has been independent for 112 years. People in Cuba celebrated the day of independence until the revolution started (1959). But after that people celebrate the revolution (july 26), because for the people was more important to celebrate that. Now a lot of generations don’t know that in Cuba was celebrated the day of independence . Nice work! I agree that Cuba is really interesting. Have you been there? As for the English, good job in general, but be sure to check your writing for the technical stuff, like “s” on 3rd person verbs, past tense, and things like that. Otherwise, good job! No, I don’t have money to go to other country jaja and I prefer to go to the US. Well it´s a real interesting topic and a big trouble that the UK is already having , but i think Scotland´s citizens are in the right way looking for independence, cause is something great for them, they have their own ideas about goverment and how to manage a country by themself without the ‘help’ of the United Kingdom , they have their own ideas and strategies about financial investment , and also they want the nuclear weapons outside there as soon as possible, cause those and many other things they deserve to be free really soon. -About the country i choose Azerbaijan ,i choose that one cause is a real interesting country and almost unknown for most of the people. Officially the Republic Of Azerbaijan , situated at the crossroads of the Eastern Europe and Western Asia. The country was incorporated into the Soviet Union in 1920 as The Azerbaijan Soviet Socialist Republic, Azerbaijan proclaimed its independence in October 1991, before the official dissolution of the USSR, Azerbaijan is a unitary constitutional republic. The country is a member state of the Council Of Europe, the OSCE and the NATO PATNERSHIP FOR PEACE program. And also is one of the founding members of GUAM, and Organization For The Prohibition Of Chemical Weapons. 2-Poll: Is the process of voiting in an important election. 3-Ballot: Process of vointing in writing, but asually in a secret form. Thanks and sorry for comment belated! Just kidding, and better late than never. Thanks for the comment, but be sure to write short, clear sentences, instead of just combining them with only a comma. Also, don’t copy and paste like you did with the Azerbaijan part (I could tell when you started using capital letters suddenly)! I’d prefer you to write things in your own words, even if you make mistakes. Polls: the record of votes that were made by people in an election. Amendments: a change in the words or meaning of a low or document (such as a constitution). Pursued: to follow and try to catch or capture someone or something for usually a long distance or time. My opinion is that Scotland is not independent because they depend on the political and economy of England. I chose Argentina because is a beautiful and interesting country for its tourist places. First of all the colonization of the region Rio de la Plata began in 1536 with the foundation of Buenos Aires by the efforts of the Spanish tour to create a permanent colony were complicated by the lack food and they left the place. Then the natural conditions of the Pampa cooperate with the appearance of cattle after Buenos Aires grew to becomes pole significative for its products. In 1776 was declared capital of Viceroyalty del Rio de la Plata was very important in his political. Independence was a decree by the Congress of Tucuman in the city of San Miguel of Tucuman together with the provinces of Rio de la Plata therefore the manifestation was formed a rupture political with the Spanish monarchy and resigned of the foreign authority. They celebrate with fireworks, parades and military displays. The first part is pretty clear, but around “…Spanish tour” it gets confusing. Can you re-do it from that point on in your own words, concentrating on writing short, clear sentences? You are right. Spanish made efforts to found a colony but they did not for lack food, then they left the place for 5 years. budget: an estimate of costs. revenues: is the amount of money that the company actually receives during a specific period. relying: is basically to trust in something. As we can see the result of the referendum show that the majority of the people of Scotland votes no , and as a result of that Scotland will continue the same as it was …… and for my personal opinion this is great , because as we know the economy and politic interests have been affected because of an independence , so that probably make a imbalance. well I choose south Korea because of the best song in the world Gangnam style … ok no,I’m teasing with you guys , the thing is,I really love the amazing places , culture and almost every thing they have , so that is why. They got independent of japan in august 15 in the year of 1948, and they also called that day, the restoration of light day , so probably japan stole all the light bulbs … but they solved that , this day commemorate the victory over japan day, which liberated Korea from colonial rule. Many activities take place in this day,like ceremony with the president,that take place in the independence hall of Korea , also in that day all the houses bring the Taegukki flag , that is the Korean flag …. One thing that is very interesting is that all the public transport services are for free during all the Independence day. also the government traditionally issues special pardons on Gwangbokjeol. Very cool! I didn’t know much about South Korea, although I have been interested in going there. Nice facts! you receive revenues. Synonyms could be earnings or profits. Actually Scotland still being part of Great Britain, The referendum was realized on September 18 and the result was: 44% of people who voted says that Scotland should be an independent country, and 55% of the people says that Scotland must have taken part of Great Britain. About the country that i choose is Nicaragua. I choose this one because I think that in a way it’s strange that Nicaragua and Costa Rica are very different, despite that they were part of Spain and they became a free and autonomous country in the same time interlude, even nowadays the situation of both countries are very different in almost whole the areas. nowadays, some years ago, was political instability, in some periods of Nicaragua history occurred some wars, and probably is for that reason that Nicaragua is not a country as developed as Costa Rica. 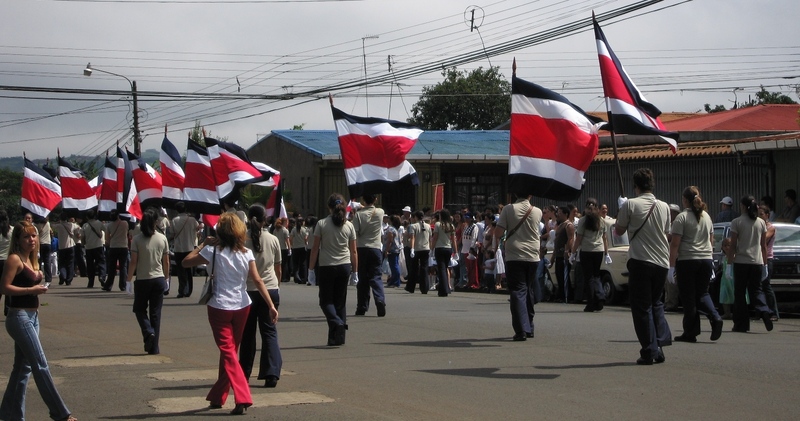 The celebration in Nicaragua is almost the same as in Costa Rica, they use to read the independence act and in September 15 some marching bands plays instruments in the streets and people usually goes to the parades. Interesting. I didn’t know that Nicaragua had the same independence day as Costa Rica, but I guess it makes sense.